Our Gift card programs offer many benefits to business owners. The programs build customer loyalty, generate revenue, increase traffic and provide a low-cost marketing edge that allows smaller businesses to compete with larger companies. 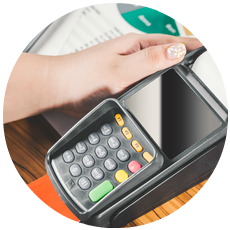 The cards are easily activated at the point-of-sale, and reporting occurs automatically through our POS terminals. Adding loyalty to your gift card program allows you to track customer behavior and uses points to give you more repeat customers! The Network Firewall we offer comes with centralized management including 24/7 monitoring, logging, and intrusion detection and prevention. Our users benefit from remote installation, hardware replacement, web content filtering and a 30 URL whitelist! 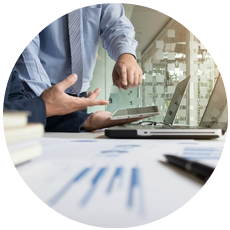 We also offer PCI compliance validation that comes with a set of features that includes a $100K TrustVault certificate, management portal, vulnerability scanning, critical device monitoring, and online employee training. Reach out to our team to learn more about our Network Solutions!! In 2018 it has become a necessity to accept all types of cards to process customer payments. 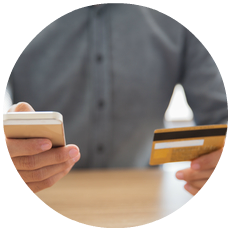 There’s no question accepting credit and debit cards will allow your business to compete more effectively in your industry. We offer a wide range of card-based payment options to our customers. Our merchants accept Visa, MasterCard, Discover, American Express, Diners Club and more!